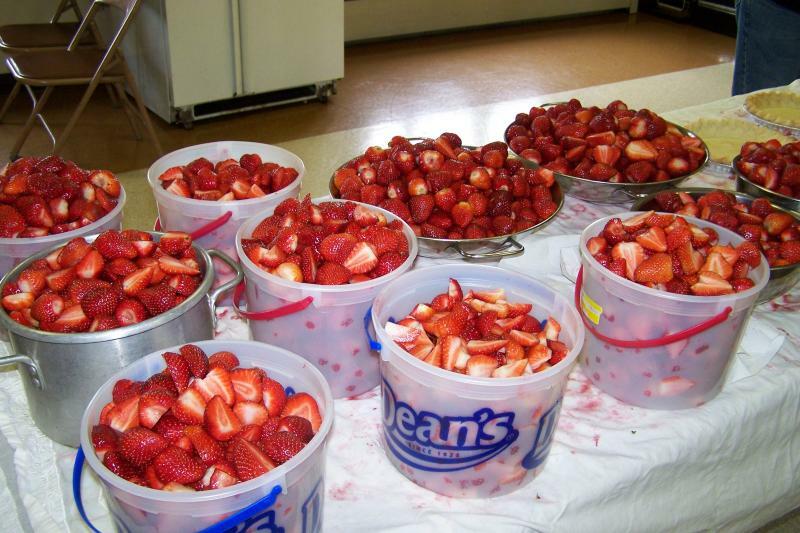 Strawberry Fest takes place at St. Mary's, Dousman on Sunday, June 23, 2019 from 11:00 am - 3pm. The event, with all proceeds benefiting the Diocese of Milwaukee Haiti Project, features all strawberry desserts and pies, a sandwich grill, used book sale, HAWS mobile adoption unit, Haitian art, bake sale, LIVE MUSIC, and Children's activities! ALL are welcome! St. Mary's is located at the Corner of Highways 18 & 67 in Dousman, WI.